A giant hogweed run-in means Alex Childress must stay out of the sun for up to six months. A Virginia teen could take up to two years to recover fully from severe burns he got from an encounter with a dangerous invasive plant this week. Giant hogweed sap essentially prevents your skin from properly protecting itself against sunlight, causing your skin to start burning in as little as 15 minutes after contact. Getting the sap in your eyes can even lead to permanent blindness. When Childress first noticed his skin hurting, he thought he had just gotten a sunburn, though his parents suspected otherwise and took him to a hospital. “The top layer of skin on the left side of his face basically was gone and appeared to be like a really bad burn that had already peeled,” his father, Justin Childress, told the Times-Dispatch. As it turned out, the teen had developed second- and third-degree burns all over his face and arms from the hogweed sap. He told People that when he first got in the shower after landscaping, “big chunks” of skin were falling off his face. The severity of the burns meant that Childress has to stay in the hospital’s intensive care unit for two days. Though he’s set to recover, it could be a frustratingly long process. Now he fears he may be medically disqualified for an Army ROTC scholarship he received to Virginia Tech, where he plans to attend school in the fall. Native to the Caucasus Mountain region in Asia, giant hogweed spread to Europe in the late 19th century and ultimately to the United States via people who thought it made a pretty garden plant. 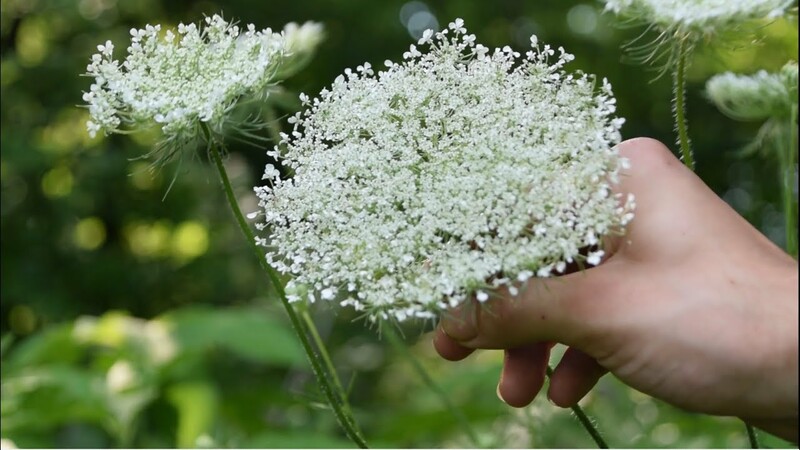 Though its white flowers lead to it sometimes being confused with the harmless Queen Anne’s lace ― also known as wild carrot ― there are key differences, including the massive size of giant hogweed, which can grow from around 6 to 20 feet tall. A man in Germany holds the stalk of a giant hogweed plant, which can grow very large. If you think you may have come in contact with giant hogweed, the New York Department of Environmental Conservation recommends thoroughly washing the affected area with soap and cold water, (just cold water if it’s your eyes) keeping the area away from sunlight for 48 hours and seeing a doctor if you have any reaction. This story has been updated to include the scientific name of giant hogweed.